Lunch at The 8 in Macau. 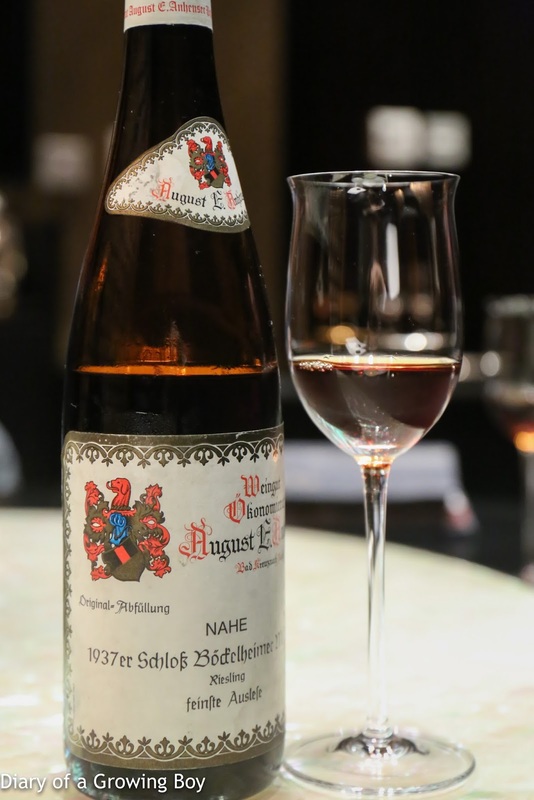 1937 Anheuser Schloßböckelheimer Muhlberg Riesling Feinste Auslese - soooo beautiful! This was nectar-like on the nose, with honey, a little polyurethane, medjool dates, raisins, and wonderful marmalade notes. So smooth on the palate, with a good acidity balance. What a privilege to have tasted this wine! 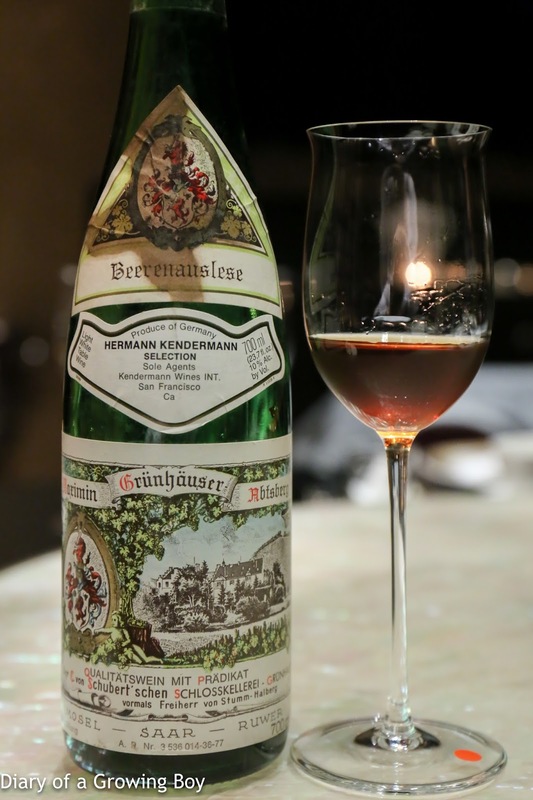 1976 von Schubert Maximin Grünhäuser Abtsberg Riesling Beerenauslese - at first a little bitterness on the palate, and the nose initially had some metallic notes. Polyurethane notes were pretty prominent. Good acidity on the palate here, with marmalade made from bitter orange. In fact that bitterness continued to be very prominent on the finish. Nice, but I had hoped for a little more. Surprised that this BA was not as sweet as the feinste auslese.